SAVE BIG!!!! 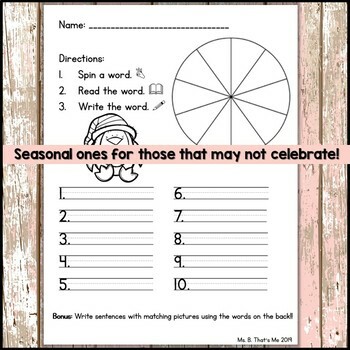 This product includes Spin Read and Write activities with clipart that spans the entire year! There's even a couple bonus sheets that don't come separately in my store! 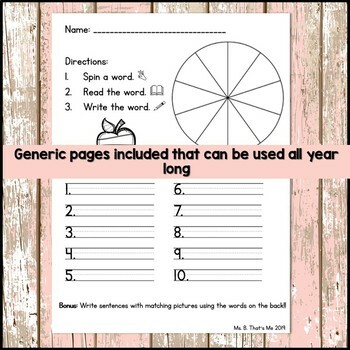 You can fill in the spinner with your students' spelling words, high frequency words, sight words - whatever suits your needs! OR students can fill in their own words! 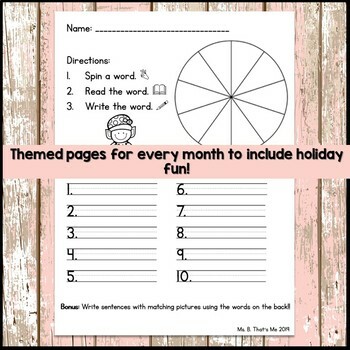 This would work perfectly as a literacy center, Daily 5, homework or small group work! 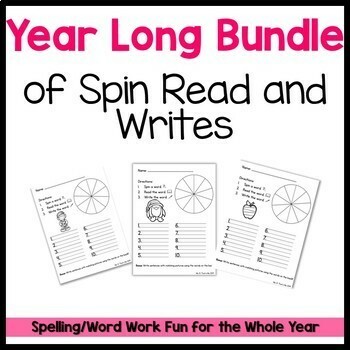 Students will use a paper clip and pencil to spin the words, with the goal of spinning, reading, then writing all the words.